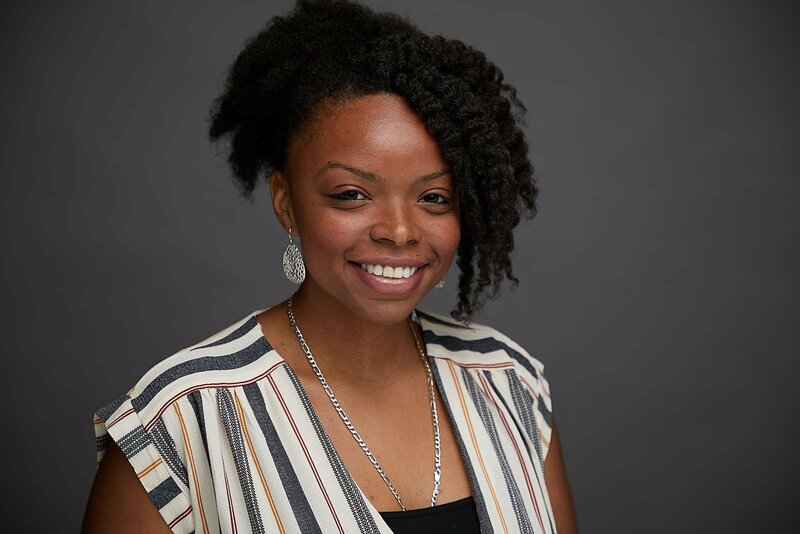 From eating ice cream on a remote dairy farm in Iceland to exploring the depths of the ancient Cathedral Caves at Grotto Bay Beach Resort in Bermuda, when traveling abroad, I’m able to stay connected with my family and friends at no extra cost because of my international phone plan with T-Mobile. 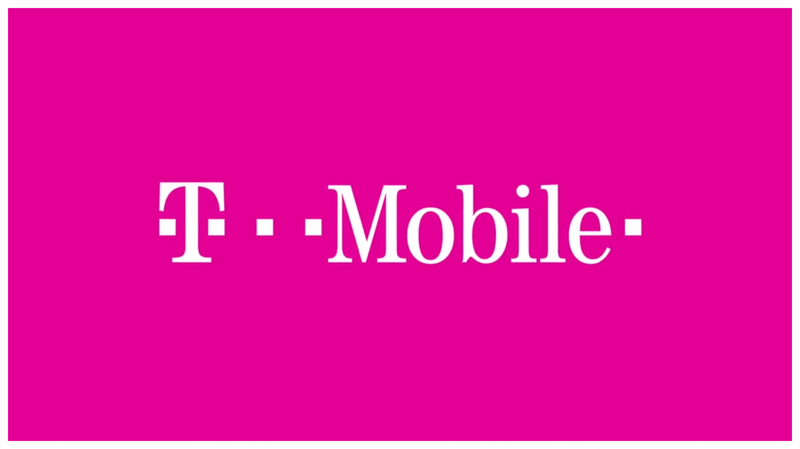 With over 72.6 million customers, T-Mobile is one of the largest wireless service providers in the U.S. And since I’ve been a T-Mobile customer for over nine years now, I’ve seen T-Mobile’s coverage improve across the country and around the world. Why does T-Mobile offer one of the best phone plans for travelers? Well included in the standard T-Mobile ONE plan, you automatically get unlimited data at up to 2G speeds abroad. You can also text in over 140 countries, enjoy unlimited hotspot access and stream your favorite movies and shows on-demand. Also on Gogo-enabled flights, get access to one hour of free Wi-Fi and unlimited texting in the air. 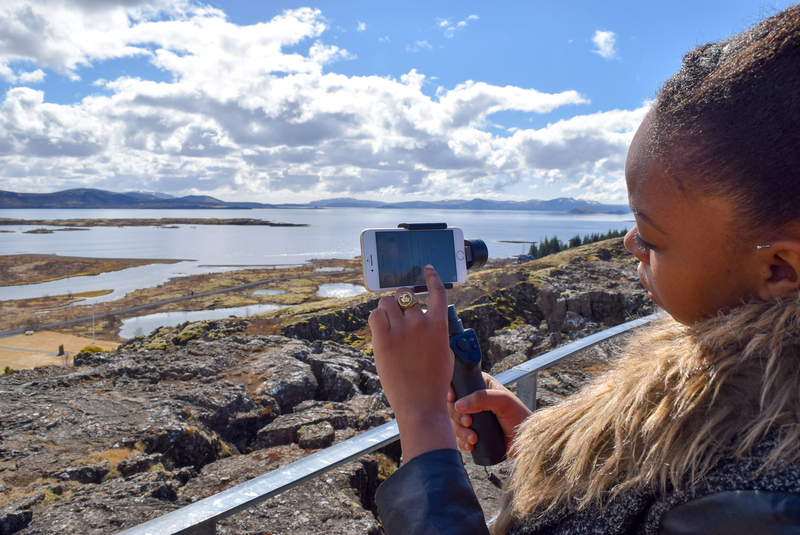 Although not all T-Mobile phone plans include global coverage, with the T-Mobile ONE plan (one of the built-in T-Mobile international plans), you don’t have to add any extra features or call Customer Service before you travel abroad or go on a cruise. When you arrive in a new country, T-Mobile automatically sends you a welcome message that specifies how your plan works internationally. 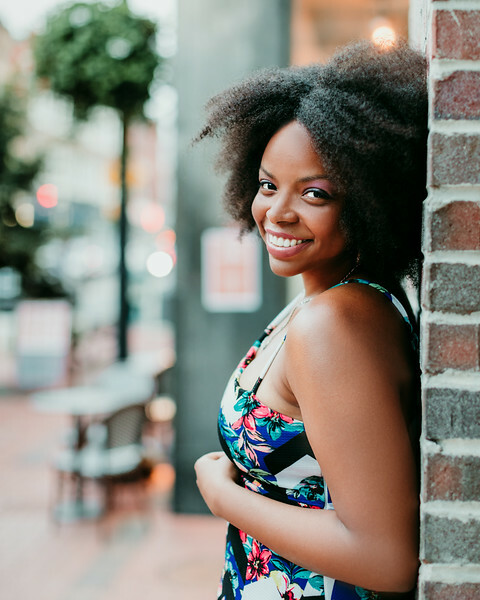 Last month when I attended the 2018 Women in Travel Summit (WITS) in Quebec City, I didn’t have to worry about any other charges from using my phone abroad. That’s because in Mexico and Canada, you can talk, text and use data up to 5GB at 4G LTE speeds just like you do at home. From the U.S. you can even make calls to Mexico and Canada for free! 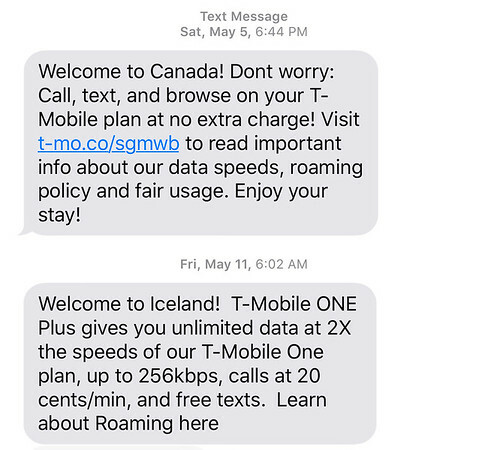 When I traveled to Iceland two weeks ago, calls cost 20 cents per minute and I had unlimited texting and data up to 2G speeds. These features came in handy when navigating, looking up restaurant reviews, booking tours on my phone and keeping in contact with my loved ones. From Jeddah to Cairo flights, T-Mobile is extremely simple to use overseas. So far I’ve never had to buy a SIM card while traveling abroad and I’ve never had major connectivity issues either. Helpful Tip: To avoid roaming charges, use WhatsApp to talk for free. WhatsApp is a free app that uses your phone’s internet connection instead of your voice minutes. 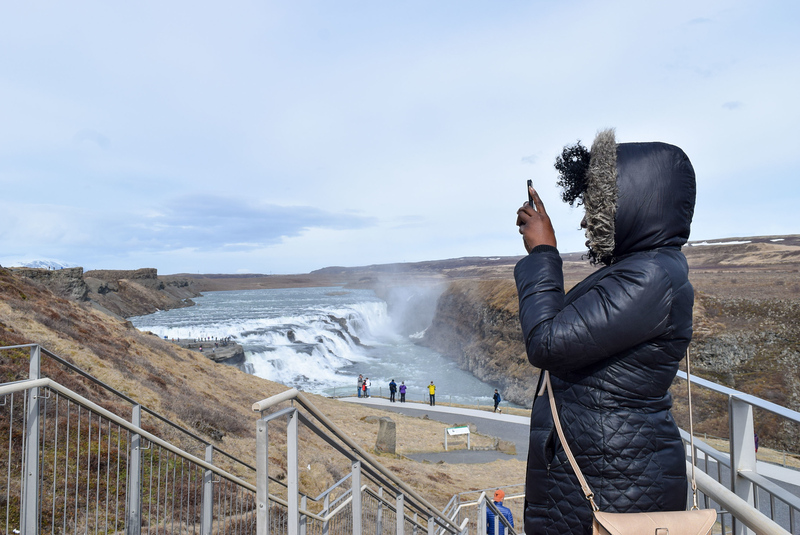 With no cell phone contracts and plenty of built-in perks, T-Mobile meets the needs of many types of travelers especially financially savvy travelers who are looking for great value at an affordable price. Here are two T-Mobile phone plans worth considering if you are a traveler. The T-Mobile Tourist plan is the perfect international phone plan for anyone traveling to the U.S. for a short time. With all the essentials of a basic phone plan, this 3-week plan is great for business travelers who want to keep things simple as well as travelers looking for unlimited data and text. 1,000 minutes for calls within the U.S.
At $40 USD per line for four lines, the T-Mobile ONE plan is the best phone plan for travelers including traveling families, groups of friends, or business partners looking for an unlimited plan that works across the globe. Instead of spending $70 for one line, save up to $30 USD per person when you sign up for four lines. As a bonus, taxes, fees and Netflix are included in your monthly bill so you never have to pay more than expected – no more surprises y’all! Need more services like faster high-speed data on your trip? Well for an extra $10 USD a month, T-Mobile ONE Plus and ONE Plus International ($25) are perfect for travelers who want to enjoy perks like unlimited HD video streaming in the U.S., voicemail to text, name ID and 2x the data speed abroad. With T-Mobile ONE Plus, you can even call landlines in 70 countries and mobile numbers in 30 countries. This add-on is perfect for streaming Netflix, Hulu, YouTube and other on-demand video services. During a long flight, T-Mobile’s ONE Plus allows you to watch your favorite videos and movies hassle free. While you’re at it, check out these 6 binge-worthy TV shows. This feature transcribes your voicemail into text messages allowing you to read voicemails as text messages on the go. Find out who is calling including unknown numbers before you answer. This feature shows you the names and phone numbers of any caller, even if the number isn’t in your address book. As a frequent traveler who is constantly checking emails, sharing photos on Instagram and downloading podcasts, T-Mobile’s phone plans have been essential in helping me stay connected even when I’m thousands of miles away from home. 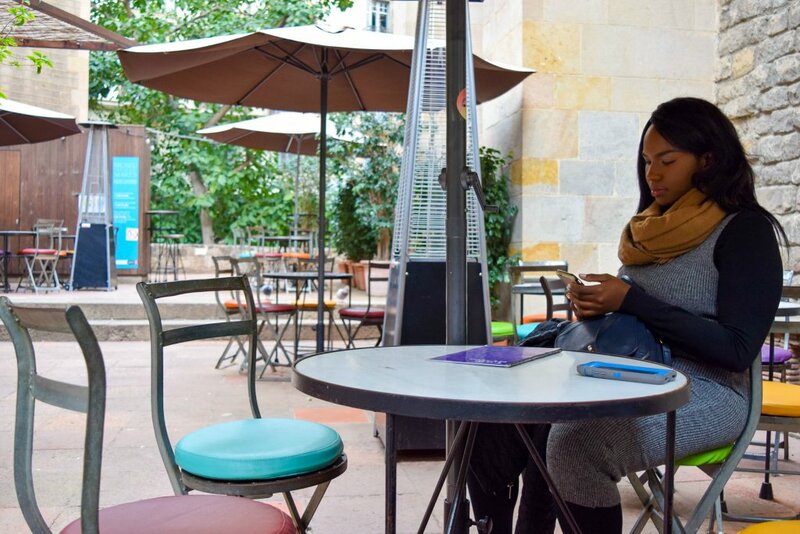 Compared to other competitors like Verizon or AT&T who offer less benefits at a higher price, T-Mobile offers travelers great value at an affordable price – I get the same (or similar) service for the same price even when I’m traveling abroad! As a T-Mobile customer for almost a decade now, I’ve never had any phone issues while traveling to almost 24 countries, so I can confidently say that T-Mobile is one of the best international cell phone plans in the U.S. In your opinion, which mobile provider offers the best phone plan for travelers? this seems to be very nice blog post. Keep up the good work! Thanks for stopping by! I appreciate you reading.